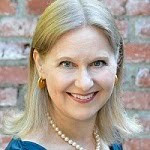 Rose City Reader: Happy Birthday, George Washington! 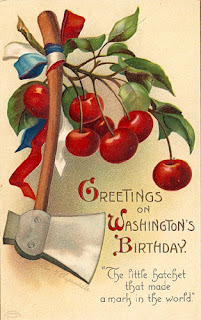 The story of Washington chopping down the cherry tree loomed large in my childhood, but I never think of it as an adult. It took me a minute to think why a hatchet symbolizes George Washington. Birdie: I'll raise a birthday toast to Alan Rickman as well, even though his isn't a national holiday. heheheh well, if I had my way, Alan Rickman day would at LEAST be a national holiday in Britain if not over here as well. Still, it's good to have multiple celebrations. Cheers to the first Pres.